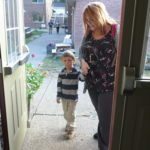 Photo by Betsy Bethel Dr. Christina Fisanick Greer walks her son, Tristan, to his kindergarten classroom at Wheeling Country Day School. She is teaching Tristan to eat healthy foods and right-sized portions, but doesn’t restrict what he eats. Christina Fisanick Greer stepped through the automatic doors of Mount de Chantal Kroger in Wheeling and took a moment to admire the bright pink-stained mums in the cut-flower display to her left. Next, she breezed past the stacks of iced cookies, specialty breads and cakes, without a sideways glance. Because she abstains from most grains, dairy, meat, refined sugar, caffeine and alcohol — fruits and vegetables are her staple foods. 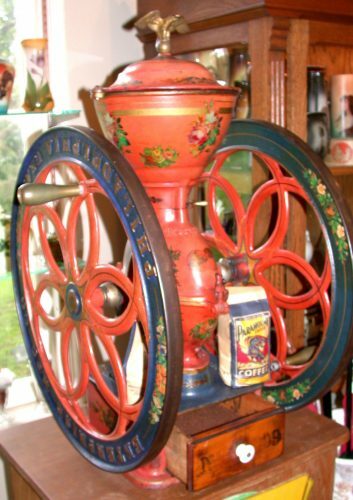 “If it’s in here, I’ve probably tried it,” she called over her shoulder as she made a beeline for the grapes. Greer, 42, of Wheeling, is a recovering food addict who started binge eating as a child growing up in poverty in rural Marshall County. She entered recovery three and a half years ago, the day after a nightmarish binge during which she ate three bowls of homemade buttercream frosting in succession. Her recounting of that incident appeared in a guest post on the “Today” show website on July 26. 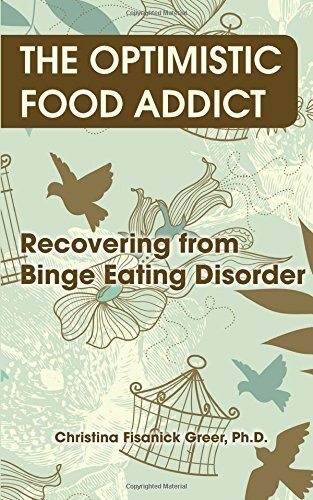 Her book “The Optimistic Food Addict: Recovering From Binge Eating Disorder” was released in soft cover by MSI Press LLC on Sept. 26. It is her second memoir; the first, “Two-Week Wait: Motherhood Lost & Found” (Rhetorica, 2015), is a collection of blog posts in which she recounts her journey from child loss and infertility to giving birth to her son Tristan, now 5. 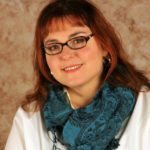 An associate professor of English who teaches writing and digital storytelling at California University of Pennsylvania, Greer will be inducted into the Wall of Honor at her alma mater, West Liberty University, on Saturday, alongside former Wheeling Mayor Andy McKenzie and Wellsburg dentist Dr. David G. Edwards. Greer said she wrote her new book to give people a glimpse of the day-to-day life of a person with food addiction and to share with other addicts the hope she has found in recovery. “If I had to struggle through it, the least I can do — or the best I can do — is to help other people,” she said. The book does not wrap up neatly with a bow. She wrote the book during her recovery process, partially in the middle of a relapse, in fact, which she notes in the preface may not be what some readers are expecting. In the book, Greer reveals, often in shocking detail, the physical and emotional turmoil she has suffered because of her addiction. The chapter titled “My Body Was Rotting From the Inside Out” was particularly difficult to write, Greer said, but she doesn’t regret including it. In it, she relates how she endured yeast infections, gastrointestinal complaints, migraines (10-12 a month), back pain, depression and anxiety, among other physical and mental problems, all related to, or compounded by, binge eating disorder. That chapter also includes details of her “rock bottom,” the incident that led to her recovery. It was the middle of the night, she was watching “The Notebook,” and eating directly out of a bowl of homemade buttercream frosting. Then she made another bowl and ate it, and then a third. She was eating through her tears, unable to stop. The event led to finally admitting her eating was out of control. “For the first time in almost 30 years, I knew if I did not stop bingeing, I would die from it. Binge eating was killing me,” she writes. 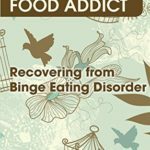 WHAT IS BINGE EATING DISORDER? While some may discount it as a character weakness or moral flaw, “food addiction is very real,” said Jill Spangler, a registered dietitian at Howard Long Wellness Center at Wheeling Hospital. Binge eating, a type of food addiction, differs from simply overeating because it is “much less common, far more severe and is associated with significant physical and psychological problems,” according to the American Psychological Association. 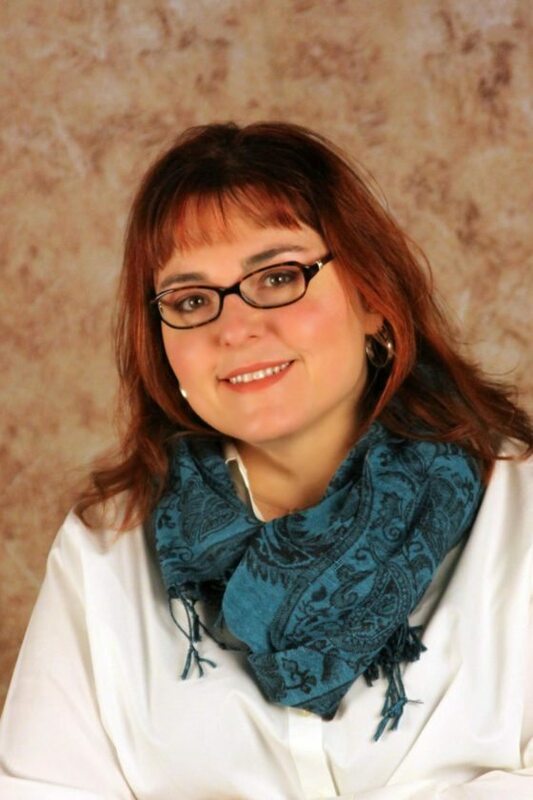 Wheeling addictions counselor Carole Ann al-Din said she treats clients with food addiction similarly to clients with drug and alcohol addictions. She said it is indeed a chemical addiction in which the substance, in this case food, takes control and clouds the person’s judgment. “Once a person develops an addiction, then the addiction makes the decisions for the person and they lose control over some of their choices. The addiction is in control,” al-Din said. About 2.8 percent of American adults suffer from binge eating disorder in their lifetime, and approximately half of the risk for binge eating disorder is genetic, according to information on the National Association for Anorexia Nervosa and Associated Disorders website. Unlike alcohol and drugs, food is necessary for survival, which makes recovery uniquely challenging. Al-Din and Spangler said treatment includes, first and foremost, a structured eating plan, which Spangler said may include fruits and vegetables, low-fat dairy, lean cuts of meat, whole grains and lots of water. It would be personalized so that trigger foods — foods that may lead a person to binge — would be off limits. “Staying away from those trigger foods is the way to recovery, for sure,” Spangler said. In recovery from any eating disorder, the experts noted “diet” is a four-letter word. Al-Din said some of her clients find Weight Watchers helpful. Support groups, such as the 12-step program Overeaters Anonymous, also can be an integral part of recovery, al-Din and Spangler both said. Other components of recovery include food journaling, talk therapy, exercise and meditation. Greer said therapy — she sees al-Din — along with meditation, listening to Overeaters Anonymous meetings online, reading recovery literature and abstaining from trigger foods has led her to the point where she feels she is the healthiest she’s ever been. Today, she’s able to bake her son a birthday cake without having any of it herself. 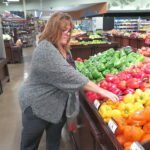 She can shop at convenience stores now, but at the beginning of her recovery, she had to avoid them so she wouldn’t be tempted by all the junk food. As she noted in the book’s preface, however, Greer’s recovery has not been without turmoil. She writes in the book that about 18 months into recovery, she was down 75 pounds and feeling confident; she thought she had beaten her addiction. But one fall day she walked into a local coffee shop for her daily cup of tea before heading to Cal U, and she felt a group of men “leering” at her. She soon spiraled into relapse. The relapse had been gathering steam since returning to the campus that fall, as her colleagues began complimenting her appearance. Unpacking the relapse today, she knows that people’s reactions to her weight loss took her back to her childhood, when she first began using food to escape a prison of poverty, physical and sexual abuse, and body shame. If people were noticing her, that meant they were looking at her, and that caused her anxiety to spike. “I wanted them to stop looking at me. 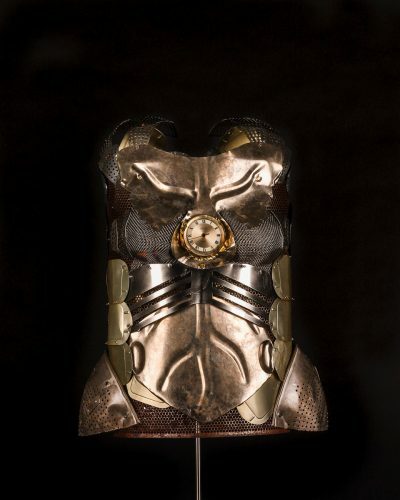 If I could have worn a Smart Car to work, as my armor, I would have done it,” she said with a sardonic laugh. She began using food again and subconsciously reverted to the best way she knew to get people to ignore her appearance. After 30 years, she understood the larger you are, the more invisible you become to society. It took her another two years to recover completely from that relapse, Greer said, bringing her to the present day. 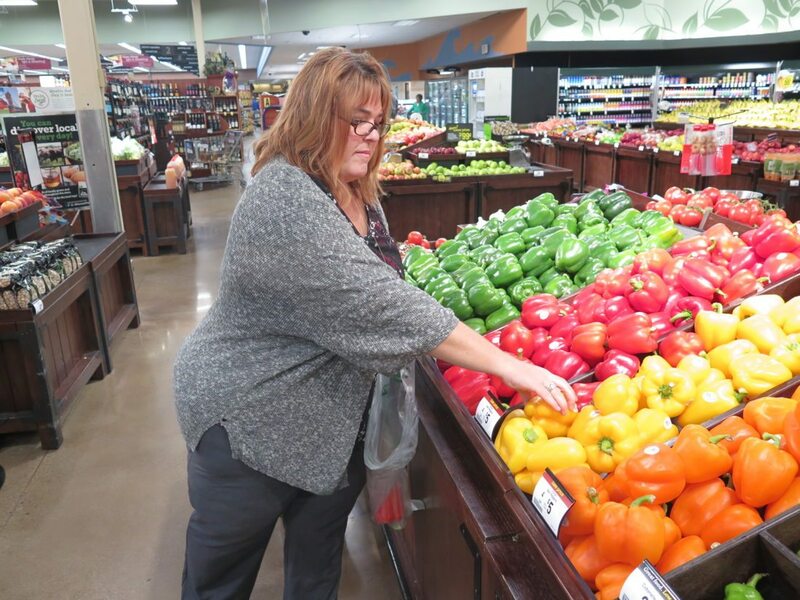 Back at Kroger, sitting in a comfy chair and sipping a Starbucks non-dairy, green-tea latte, Greer said she finds plenty of healthy food she can eat despite her self-imposed restrictions. Sugar and processed foods are mostly out because they remain triggers, but for personal reasons she also is vegan (no animal products, including dairy and eggs) and avoids caffeine and alcohol. She gets protein mainly from tofu and beans. She doesn’t impose her choices on her family, she said, but she does teach her 5-year-old son, Tristan, about healthy foods and portion sizes. When she was growing up, healthy food wasn’t always available — snacks were cookies and crackers and chips, not fruit or vegetables. When her parents had extra money, they splurged on food — it was feast or famine, she said. This set a dangerous precedent. She is glad she is able to provide healthy food to Tristan all the time, but she doesn’t restrict any food from him because in a healthy person, food restriction may lead to food addiction. She never talks about weight — hers or anyone else’s. There’s no scale in the house. Greer said she calls herself the “optimistic food addict” because positive thinking comes naturally to her. With all that has happened to her, including the tragic losses of two children and her home in a fire, she believes she inherited her optimism from her biological father, whom she met when she was 13. 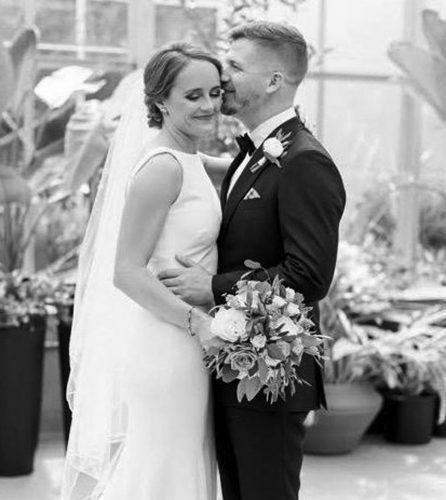 “I believe my optimism has allowed me to do all the things I have done in my life,” including earning a Ph.D.
Now that she understands relapse is part of recovery, she has begun work on a second Optimistic Addict Book, titled “Rebounding From Relapse.” A third book will be dedicated to sharing how to build a “relapse-proof” life — how to live so that relapse is less likely, through support groups, meditation, decluttering, exercise and other healthy outlets. One of her healthy outlets, of course, is writing. She keeps a blog at OptimisticFood Addict.com. She also offers an online boot camp for food addicts — the first one had 350 participants, she said — and has created an Optimistic Food Addict workbook and several adult coloring books. She enjoys making crafts that she sells in her Etsy shop. Greer said her schedule keeps her from attending Overeaters Anonymous or other support group meetings in person, so she created a Facebook support group for binge eaters called Food Addiction Recovery. After her story appeared on the “Today” show website, interest in the group rocketed; it now has more than 8,000 members. “If anything that I’m proud of the most is that group and the many people that we’ve helped,” she said.